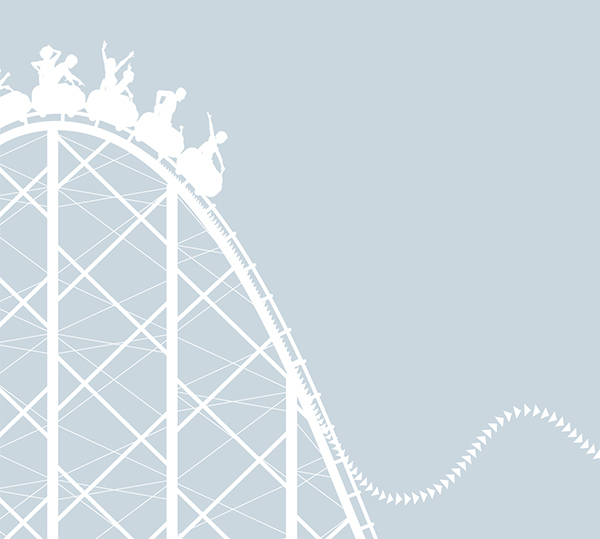 Disruptive Talent: Hold on Tight! ‘Disruptive’ and ‘talent’ are two words that historically have not been connected and in many organisations being disruptive is seen as a barrier to being talented. In this article I am going to describe the benefits to organisations of correctly using disruptive talent and explain the challenges of assessing and developing it. I recall coaching a Finance Director who described to me the need to ‘hold on tight’ every time a certain new MD came into the room. He knew she (the MD) was what the business needed and over time this was proven to be correct. However, because she challenged so many assumptions with piercing questions that nobody else would even think of asking, he had to hold on tight to his reaction, which instinctively would have been to attack her. In recent months my colleagues and I have carried out a number of experiments to look at disruptive talent. For example we have asked many directors to write a list of the most disruptive people in their organisations. We then asked them to write a list of the most talented people in their organisations. We have consistently found that the individuals who appear on both lists (usually very few) are talented because they tenaciously challenge existing norms, do things differently and in doing so directly or indirectly generate clear financial value to the organisation. i.e. their success is linked to them being disruptive. Disruptive talent refers to individuals who think and act “differently”, who innovate, who challenge conventional wisdom and practice, spot trends, see commercial opportunities and tenaciously find new and better ways to deliver business success. However, unlike ‘conventional’ talent the individual always comes with a disruptive element. Some of the disruptive element is directly linked to their success at delivering outcomes e.g. challenging the allegedly untouchable existing norm in the pursuit of innovation. Some of the disruptive element is so annoying that it becomes a reason for others to want to derail them. E.g. not following norms. If they are disruptive without the talent to add value they are more like delinquents. Organisations continue to try to develop formulas that line up the appetite for diversity with ensuring conformity, quirkiness with charters of behaviour and creativity with rulebooks. Disruptive talent ticks the diversity, quirkiness and creativity and disrupts conformity, desired behaviour and rulebooks. Let me give you an example. One of my coachees (Aldo) was brought into a cautious professional services organisation to generate new business within a very difficult, but much higher margin, area of the market – one that the organisation had hardly touched. He had a strong track record in that market and quickly started focussing his energy on finding potential clients and introducers to clients. However, he turned up late for internal meetings, gave little away, was very slow to respond to internal e-mails (if at all) and when asked for his view on things he often gave contrarian views quite passionately and undiplomatically. When Aldo applied to funding for a key project it was rejected because he had completely failed to influence internally. His reaction was that the higher margin work required much more of his time and energy to be devoted to building considerably closer relationships with potential clients and demonstrating he could deliver creative bespoke solutions; therefore he had much less energy available for internal bureaucracy. The way in which he directed his energy was so extreme that he initially failed to build trust and gain the backing of key individuals. Aldo was the right disruptive talent needed to bring about a significant shift in sales, but the business just brought him in rather than engineering his entry as part of a disruptive talent programme. A disruptive talent programme is one where disruptive talent is identified from within an organisation or deliberately brought in to the organisation and conditions are created to maximise the chances of the talent succeeding. In contrast to traditional talent the conditions have to be right for disruptive talent to succeed because the person will not adapt and fit into the status quo. Acquisition growth where the organisation is currently unable to spot opportunities because their radar is too restricted. In these situations the ability to find reasons not to go into a new market overrides any calibration of the opportunity in the new market with personal preservation being at the core. All three scenarios are ones in which ‘conventional’ talent alone will take too long. Individuals who would challenge the status quo, who could ‘connect the dots’ despite ambiguity and tenaciously pursue new/better ways of doing business were needed to propel the business forward. However, assessing disruptive talent is somewhat more complex than assessing traditional talent. This is partly due to identifying it correctly and also because it rarely works in isolation. One or two key individuals around the disruptive talent many work as catalysts to spectacular successes or memorable failure and the mantra “we’ll never hire anyone who looks, sounds, thinks or behaves like that person ever again!”. 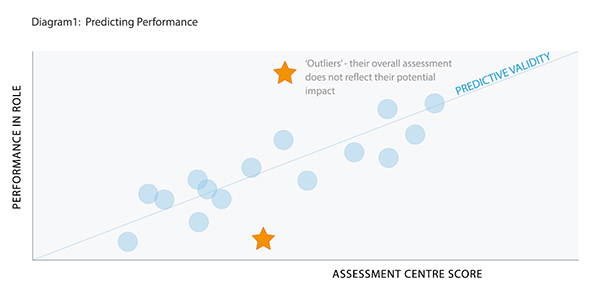 Disruptive talent are often the ‘outliers’ (see Diagram 1 below) individuals whose overall assessment performance does not reflect their potential impact (very positive in the right context and very negative in the wrong context). In the right context and at the right point in time they could have a disproportionately powerful impact on the organisation. At the wrong time and wrong place, with snipers around them, they may not last one year or they become institutionalised and lose what they could have brought to the organisation. OE Cam uses a variety of techniques to assess the potential for disruptive talent and how to land the individual effectively. In our ERCONIC ™ assessment we look at the whole life of the individual along with personality profiles to understand their approach in detail. We use exercises, case studies and simulations that allow traditional talent to generate the text-book approach and disruptive talent to come up with something off-centre that may just be a game changer. We pull this information together and develop a strategy for bringing out the ‘good’ disruptive side and managing the ‘bad’. We then work with them to ensure the right team is around the individual; a team who will tolerate the right things and challenge the wrong ones. The ‘On Boarding’ of disruptive talent is not a nice to have, it is absolutely critical and very often there will be a lot of emotion along the way. Of course the most emotional part of all is when the person who brought in the disruptive talent has second thoughts and I get a call. I had this with Aldo’s CEO who called me up because Aldo had upset a long serving member of staff (Leanne) and he asked me to sort things out. As I unpicked it with the CEO, it quickly became clear that Leanne had been schmoozing the board members to stir things up – Aldo was raising standards and Leanne was quite threatened and was using all her relationship power to discredit Aldo. In this case Aldo was doing exactly what he had been brought in to do – raise the bar, which he successfully achieved. Reminding the organisaiton of the reason why they brought Aldo in may seem obvious but his purpose was quickly lost through all the emotion. In other situations mismanaged disruptive talent can lead to diametrically opposite views of the individual. Mary was an example of Disruptive Talent that was brought in by an MD to modernise a department but he didn’t tell anyone (including her boss) that he wanted radical change. She was given mixed messages, the MD was telling her to go change things and her director was telling her to slow down and learn the ropes before trying to introduce new ideas. Then everyone polarised – the MD thought everything she did was great, her director thought she was a problem and the team started to bet on how long she would last. I worked with Mary individually and as part of the team and it quickly became clear that she had some great ideas, but the time or conditions were definitely not right for some of them. She focussed on the right ideas, got the buy in and was given space to quickly implement them. Realities are rarely as polarised as the way they are presented to me when I go into organisations.